Kit's Endo is fully equipped with the latest advanced technology to help us in all phases of treatment, from diagnosis to root canal filling and sealing. Dental x-rays can now be taken using sensors that transmit the image directly into a computer monitor. This larger image helps the patient understand the doctor's explanations more easily and enables the doctor to "zoom in" on a specific area of the tooth. An important advantage to this new technology is that it reduces radiation exposure. Digital x-rays are also faster. The digital image only takes a few seconds to appear in the monitor. In addition, this new technology is friendly to the environment since no chemicals are needed for developing the image. For additional information on digital radiography from the American Association of Endodontists, please click on AAE Press Release/Digital Radiography. Root canal therapy is a micro-surgical procedure. In order to provide optimal magnification, we wear special eyeglasses, which are like little microscopes with a fiber optic light attached. The use of this device enables us to work in the most precise and efficient manner on every case. Nickel titanium has the unique features of flexibility and shape memory. The instruments are used to clean and shape the inside of the canal. Nickel titanium is 500 times more flexible than conventional stainless steel instruments, so even canals that are sharply curved can be thoroughly cleaned and shaped. Using these instruments routinely, allow us not only to be more effective, but also to work faster and more quietly. The electric handpieces which rotate our files make very little noise. This significantly reduces the anxiety of our patients. These handpieces are designed to be used exclusively with nickel titanium rotary instruments. Our cone beam CT scanner is an advanced x-ray machine that outputs a three dimensional image of the patient's teeth and soft tissue. 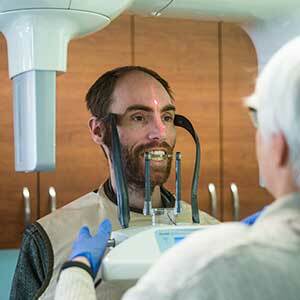 Giving the most comprehensive and detailed look at a patient's oral health. This is used when the normal X-ray doesn't give us enough information about the tooth roots and the bone surrounding them. Cone Beam CT images are typically required if we are planning a surgery or may be advantageous in the case of root canal retreatment. This system injects liquid material into the cleaned root canal system to fill the canals accurately in three dimensions. Previously pre-made gutta percha cones were used to fill canals which never fit exactly, leaving voids that could lead to treatment failure. 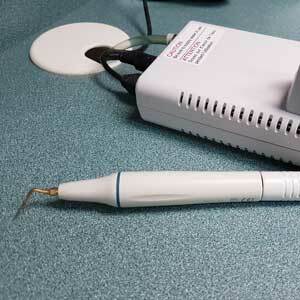 These instruments utilize ultrasonic vibration to clean and prepare a root canal for filling. Ultrasonic devices are particularly useful to clean the root-end during surgery or to remove a post or other obstruction in the canal. With the use of ultrasonic instruments today, we are able to save teeth that many years ago would have had to be extracted. 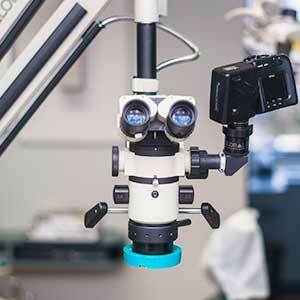 In our office, we use two Global Surgical Microscopes. 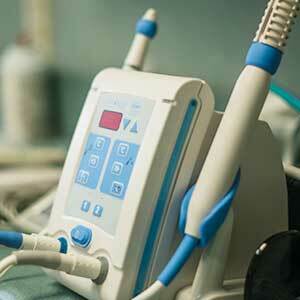 They provide enhanced viewing of the root canal system or surgical area up to 25 times. This is especially beneficial for accurate visualization of complex anatomy, for locating root fractures or defects, for root-end surgery, for removal of separated instruments, and for locating canals.